Two mind numbingly terrifying creations to crawl from Clive Barker’s twisted imagination, it’s only appropriate that these two meet in a death match to define all death matches. 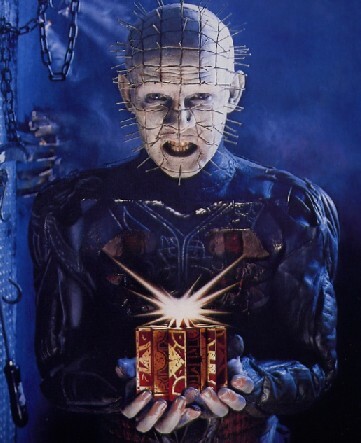 Not that death would do much other than make Pinhead feel warm and fuzzy inside. Hell, Candyman may actually find some comfort in that as well. The greatest question is how do these two get together? 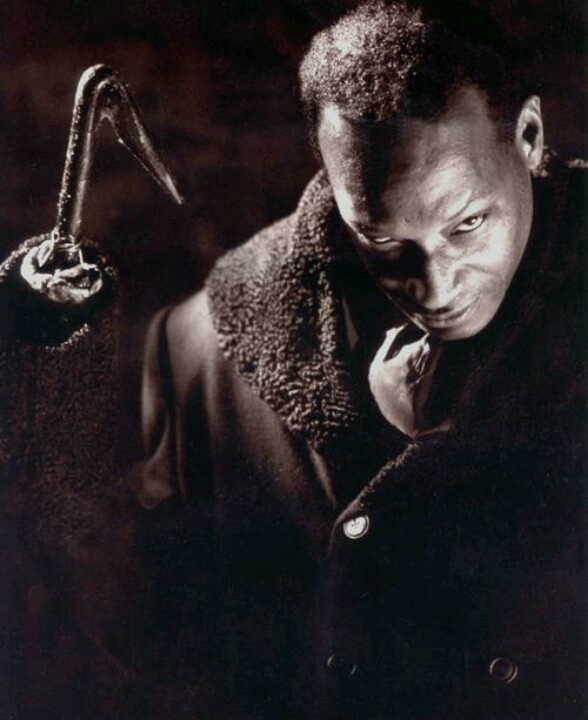 Candyman doesn’t give a damn about dabbling with Pandora’s Box, and he isn’t exactly intimidated by grotesque torture. In fact he’s got one hell of a meat hook perfectly suited for torture. But Pinhead isn’t turning up in the Cabrini Green projects to go looking for what would no doubt be his darkest object of focus yet. Which brings me to an interesting conclusion: both of these bastards would thoroughly enjoy being torn to shreds, but stand about a one in 1 trillion chance of actually encountering each other. Regardless, just the thought of it stirs up such sensually savage sights. So, let’s just say these two throw down for fun. It’s an even confrontation all the way up until Pinhead shows his true colors, cheating – summoning his clan of stomach turning, death dealing Cenobites. It’s all shady, but it’s too much for the great Candyman to overcome. CONTINUE THE FANTASY MATCHUPS ON THE NEXT PAGE!